Thanks to the Deep Creek Lake Sailing Association, we were able to tag-along on the PRO boat for Saturday’s race. It was a beautiful afternoon with just enough wind to fill the sails of the Lasers and Flying Scots. 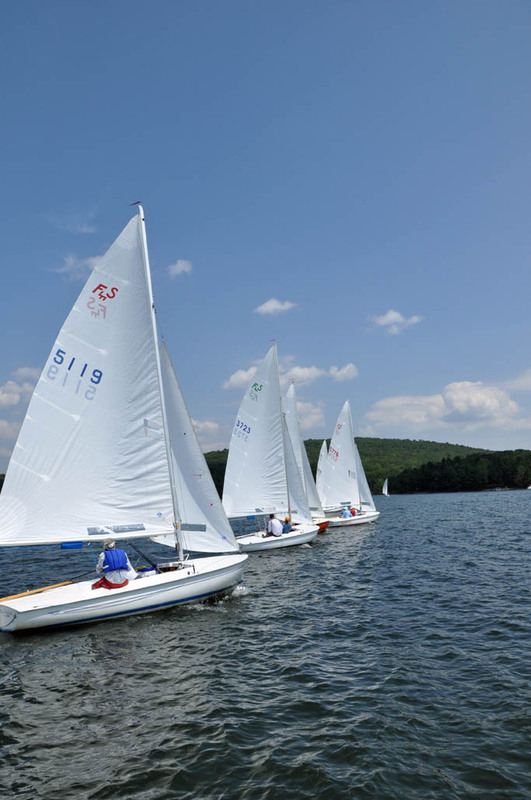 The colorful spinnakers enhance the natural beauty of Deep Creek Lake. We learned quite a bit about the locally made Flying Scots as well as the history of both of Deep Creek’s yacht clubs. Special thanks to Ed Peters, the Schubert family and Dr. & Mrs. Getty for making this possible.